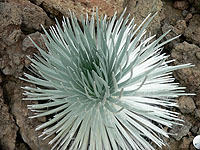 The Silversword (hinahina or 'āhinahina) is an exceptionally rare and endangered plant native only to the island of Maui and the Big Island of Hawai'i (all other occurences being introductions). 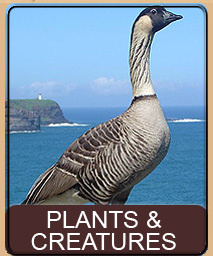 All of the photos we have here are specifically of the Argyroxiphium sandwicense ssp. 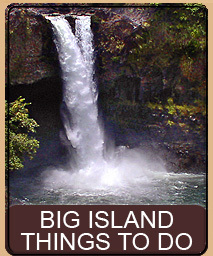 sandwicense variety, which is one of about 30 species to have been identified and the species that is native to the Big Island and not found anywhere else. 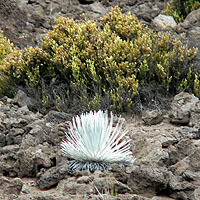 Prior to western contact Silversword would have flourished and blanketed the mid-upper slopes of Mauna Kea. 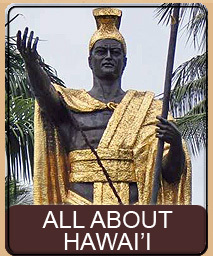 The native Hawaiians used the tough fiber of the Silversword plant to make ropes and nooses, but other than that the plant had few predators. 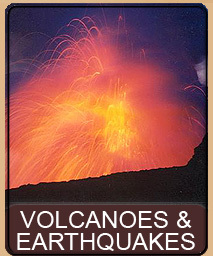 Western contact, however, introduced sheep and other destructive mammals that feasted on the plants, eventually reducing the total population to no more than about 50 plants on the Big Island. 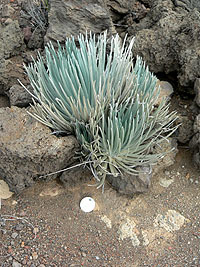 Silversword is itself a very unusual plant. 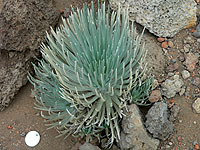 A very striking silvery-light-green color, this almost metallic looking plant consists of very dense rosettes of yucca type leaves that radiate out from a base. The leaves are thick and taper to a point at the ends. These rosettes can range in size from a few inches for babies to three or four feet for mature healthy adults. However, what is really strange about Silversword is how it flowers. 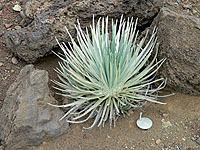 Silversword will live for 40 to 50 years before flowering once and only once. When it is time to flower the leaves seem to invert and bend upwards and out of the center rises a huge 4 to 6 foot stalk from which radiates hundreds of drooping yellow flowers. The entire result is something that resembles a narrow 6-foot tall mushroom - a very impressive sight. Once the plant has flowered a single time, the entire plant dies. Considering a blooming time of 40 to 50 years, and considering the plant dies once it blooms, there is plenty of opportunity for the plant to die or be eaten before it ever reaches its most special moment, and that is exactly what happened. Cattle ate the Silversword quickly reducing the population. Silversword also requires pollination with a non-relative in order to produce that one flower - so the quick removal of the Silversword dwindled the overall genetic stock to just a few close relatives. In 1998 scientists from University of Arizona embarked on a difficult task of trying to reintroduce the Silversword back into the hills. 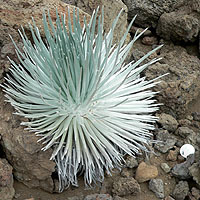 Since the destructive animal population has been reduced, thanks to hunting and other efforts, the Silversword can again flourish if introduced properly. In order to ensure diversity in the plants scientists found blooming plants and removed the pollen and took it to other plants that were far away and pollinated them by hand. 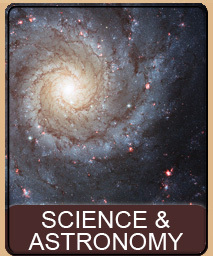 Pollen was also stored for use when new plants would bloom. 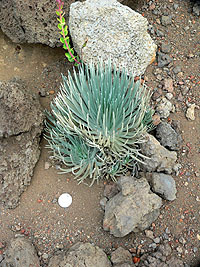 Many of the surviving Silversword were in nearly inaccessible areas so this was a non-trivial task. 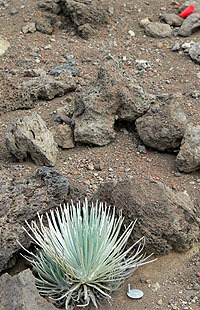 On a recent trip documenting the Kahinahina Scenic Drive around the upper slopes of Mauna Kea we found a number of sites where hundreds of Silversword had been planted - each with their own tag. Most were doing fantastically well - but none were blooming and we were not about to wait 40 years to see if one shot up. We found several spots where there were hundreds of plantings, many ranging up the slopes in hard to get to areas. We also saw a few independent Silversword that were probably either some of the originals, or escapees - including one very distant blooming plant. The state also has a huge fenced in compound a bit off the Kahinahina Road where it is growing thousands of Silversword for reintroduction. 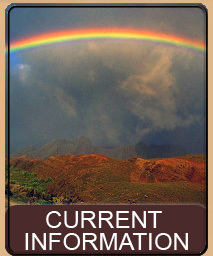 Hopefully, in time this rare and beautiful oddity of the plant kingdom will make its way back onto Mauna Kea's majestic slopes. This page is named 'Plants.hinahina'. Can't Find It?